The concept of sustainability holds that the social, economic, and environmental factors within human communities must be viewed interactively and systematically. Sustainable development cannot be understood apart from a community, its ethos, and ways of life. Although broadly conceived, the pursuit of sustainable development is a local practice because every community has different needs and quality of life concerns. 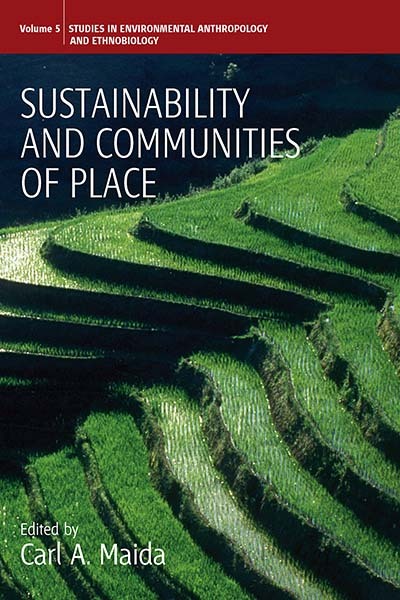 Within this framework, contributors representing the disciplines of anthropology, sociology, geography, economics, law, public policy, architecture, and urban studies explore sustainability in communities in the Pacific, Latin America, Sub-Saharan Africa, Eastern Europe, and North America. Carl A. Maida is a professor in the Institute of the Environment and Sustainability at the University of California, Los Angeles. A medical anthropologist, he has conducted ethnographic fieldwork on health and the environment in metropolitan Los Angeles. Previous publications include Pathways Through Crisis: Urban Risk and Public Culture (Rowman & Littlefield, 2008), Children and Disasters (Routledge, 1999), and The Crisis of Competence: Transitional Stress and the Displaced Worker (Routledge,1990).